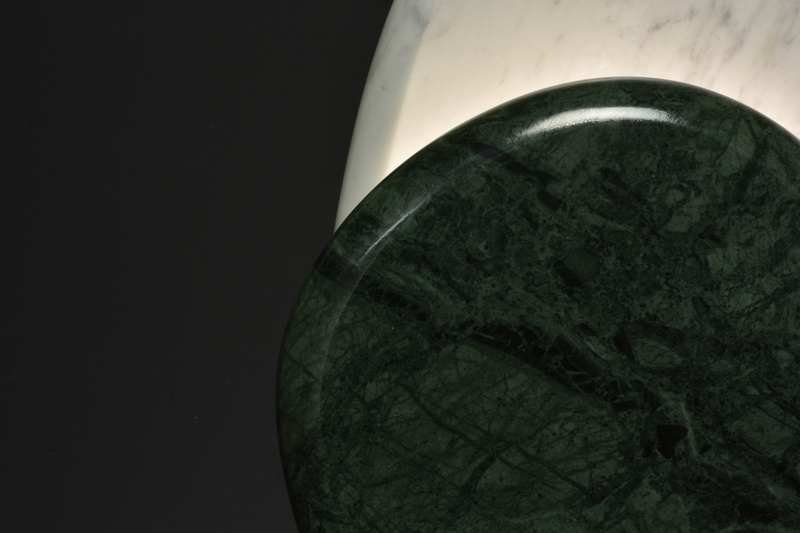 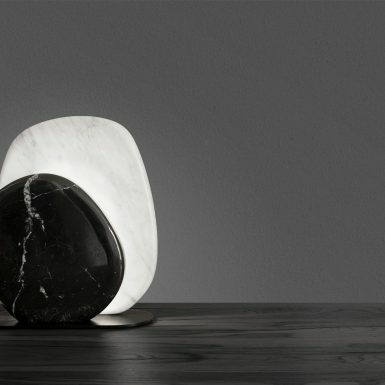 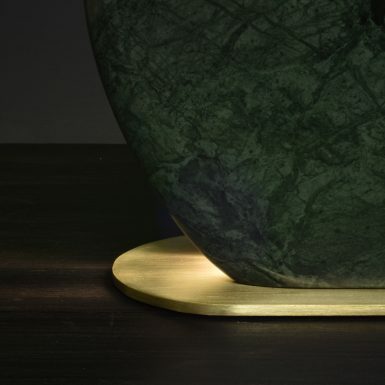 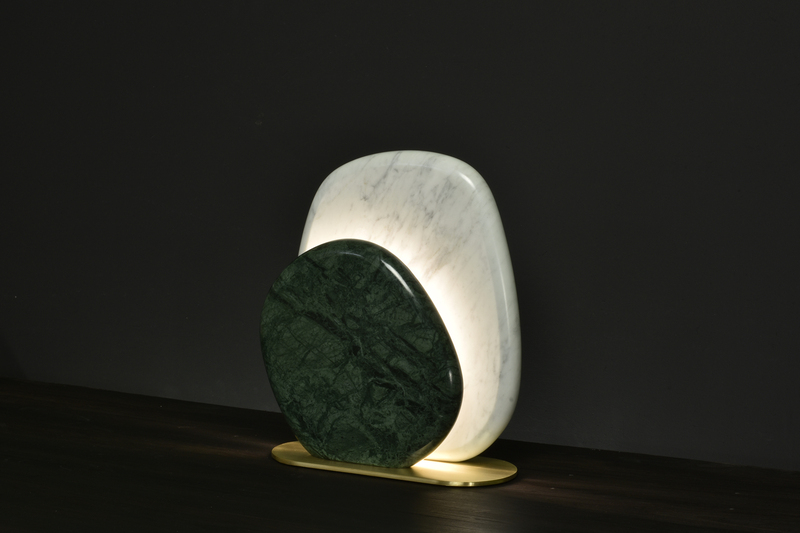 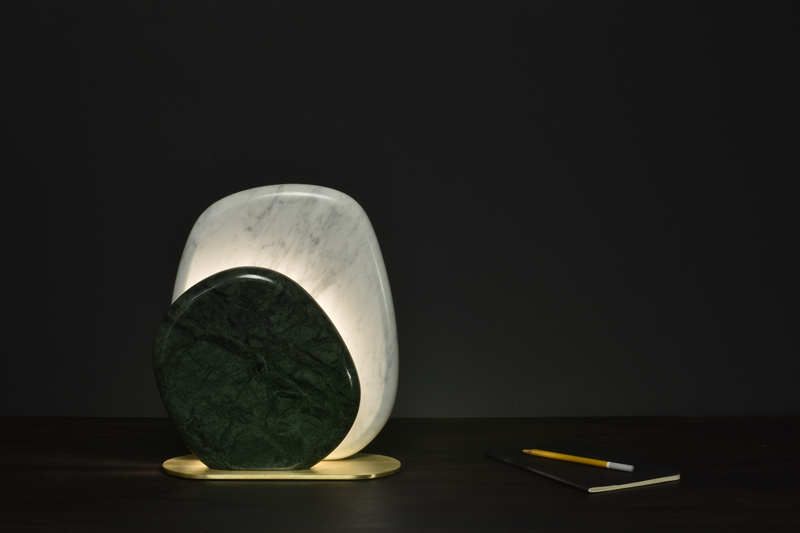 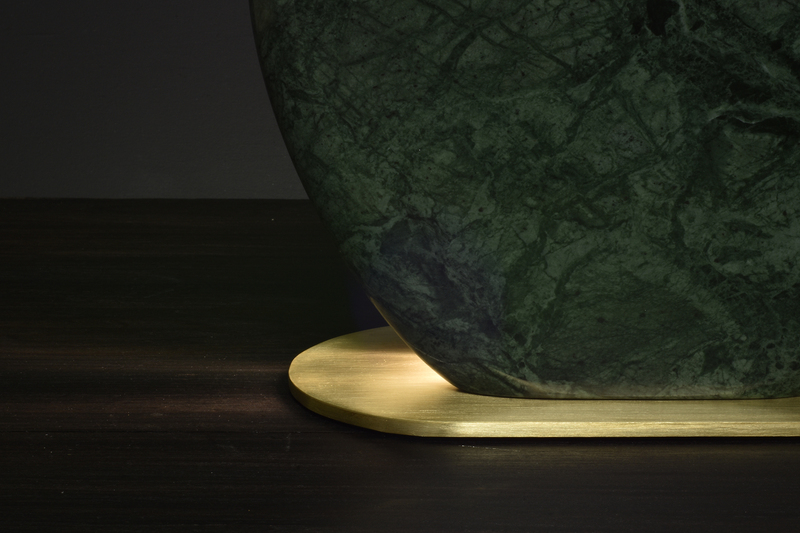 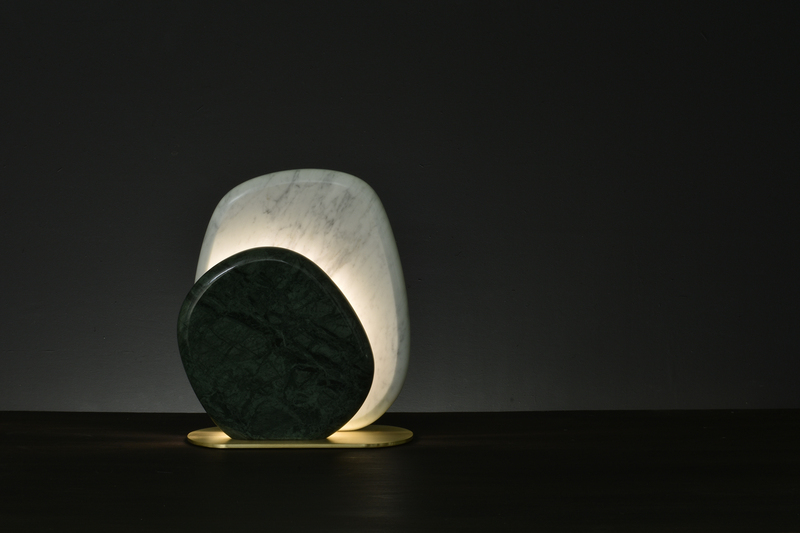 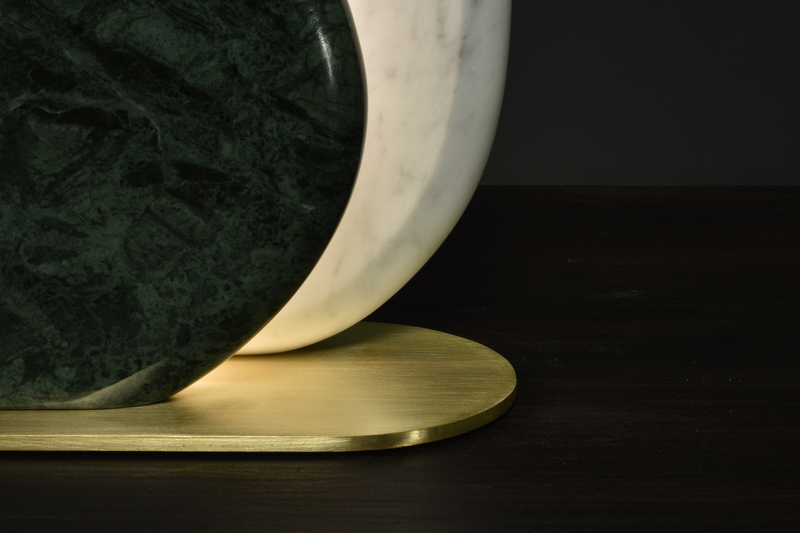 Antumbra (before-shadow) is a touch-dimmable marble table lamp. 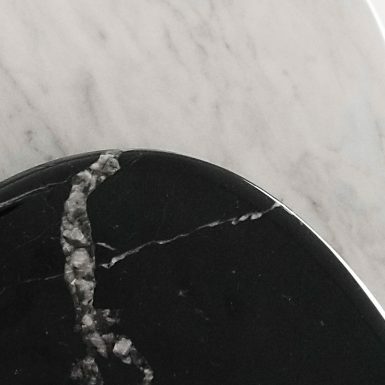 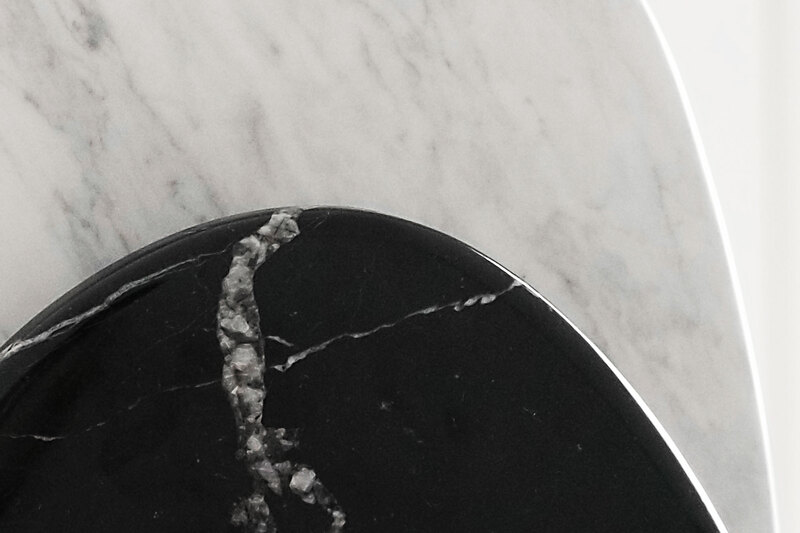 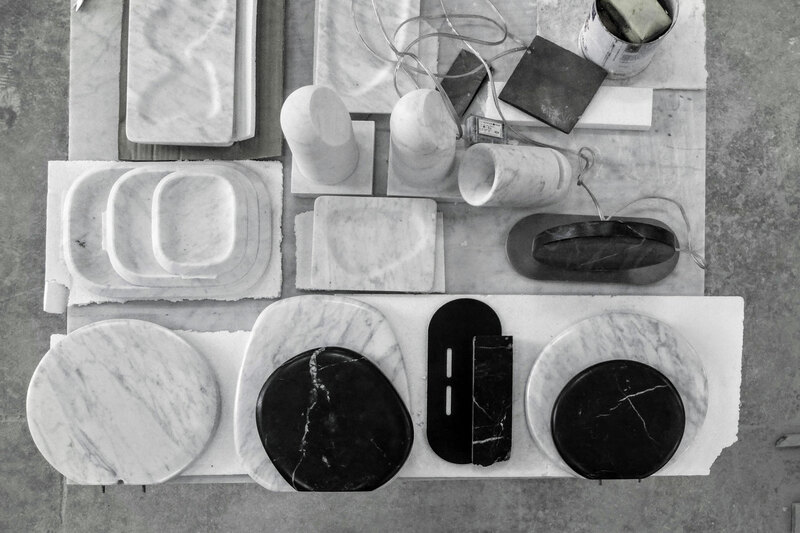 Polished black marquina marble is used for the front stone to occlude light, and matt-finished white carrara marble is used to reflect and diffuse light off of the larger back stone. 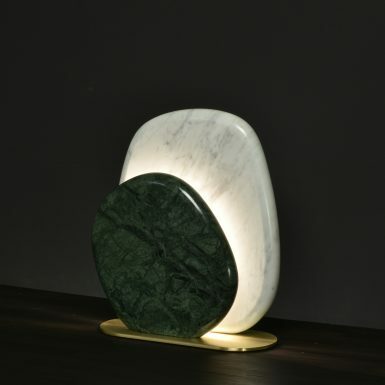 The lamp produces a glow similar to that seen during an annular eclipse; where an opaque foreground object appears as a silhouette with a halo of light around. 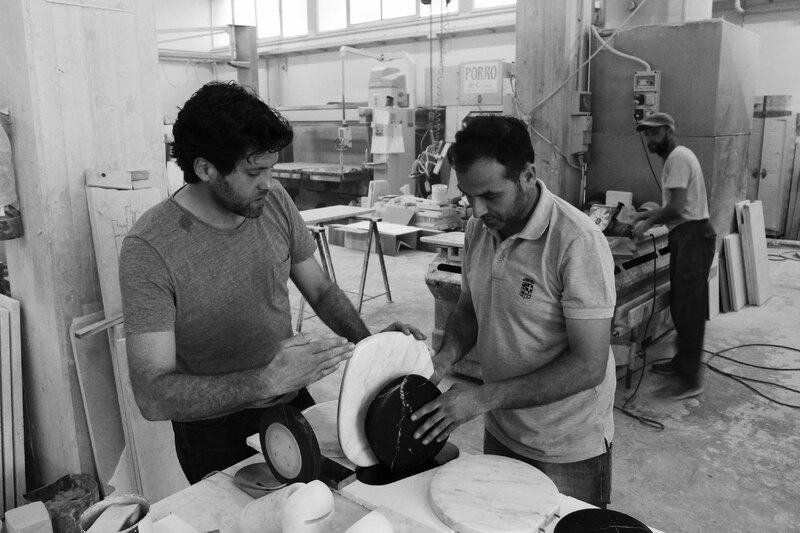 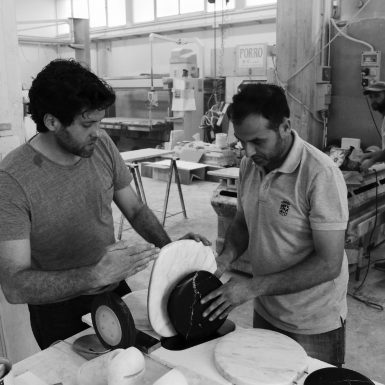 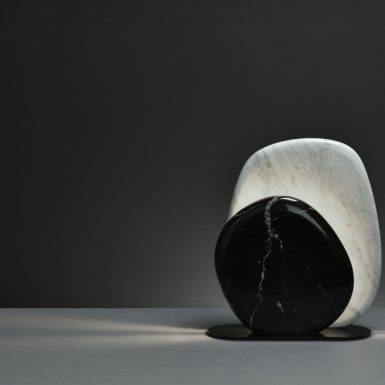 The design follows ancient sculptors’ observations white marble glows in light due to its ability to create diffuse reflections – where light actually enters the surface of the marble before being scattered and diffused by the top layer of crystals. 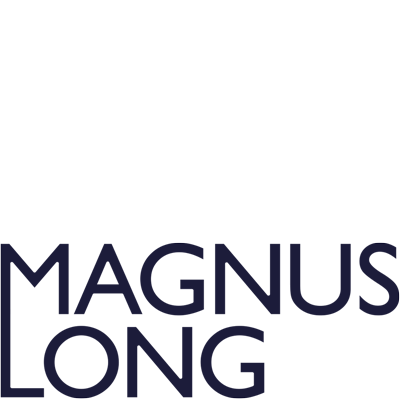 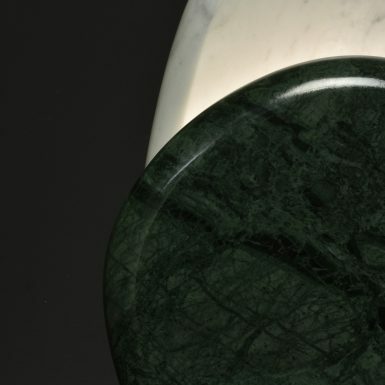 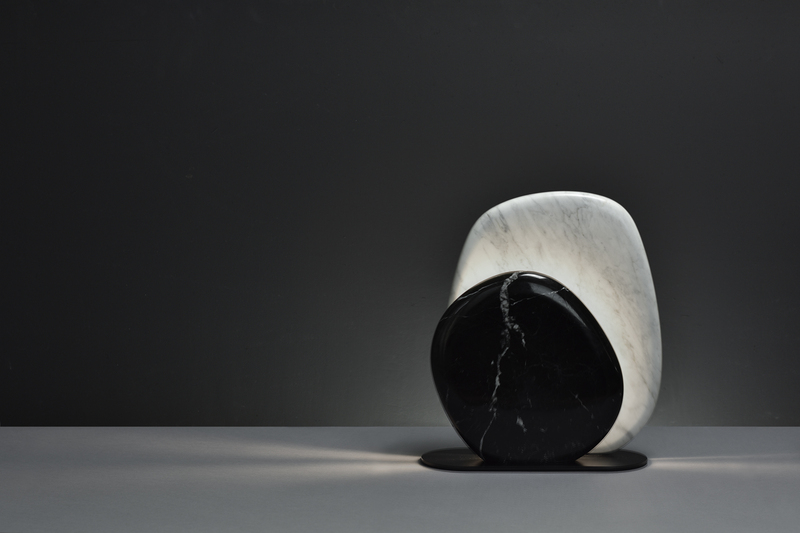 Magnus wanted to play on this physical property by using white marble as a reflector and diffusor, and black marble as a ‘mask’ for the light source. 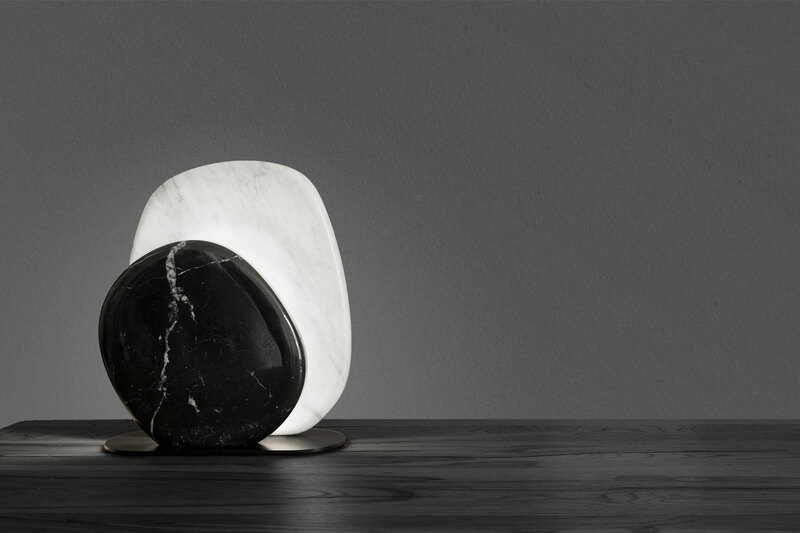 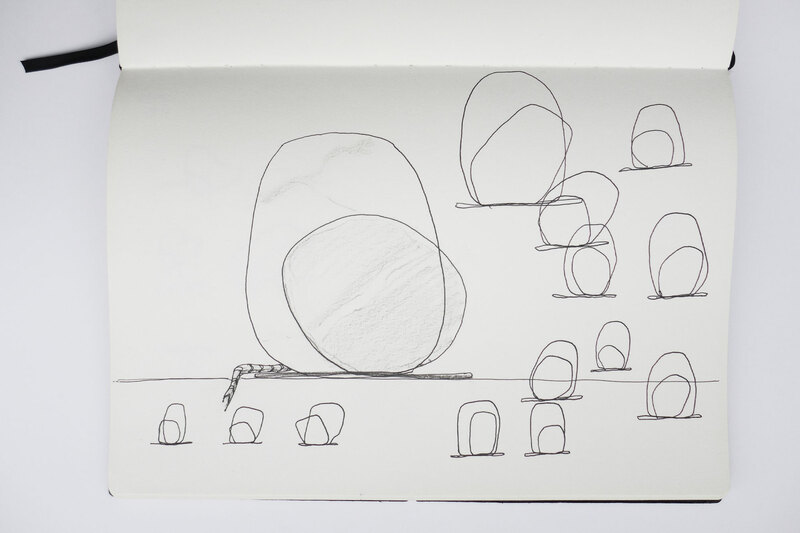 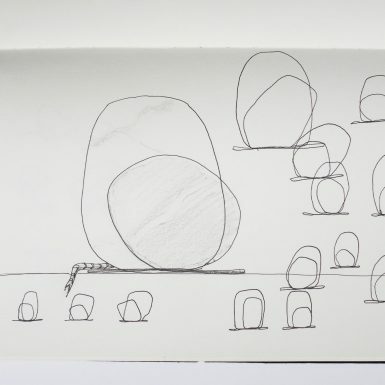 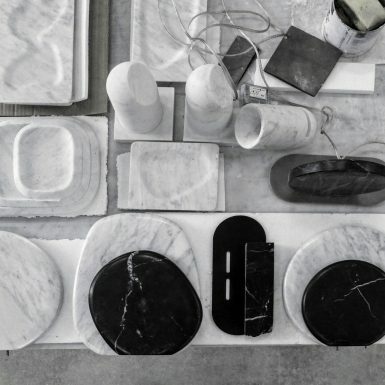 When the lamp is turned off the object reverts to a simple composition of standing stones in black and white marble. 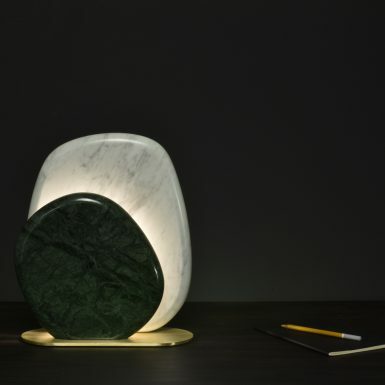 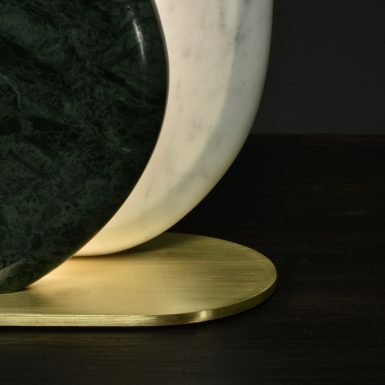 The marble stones are set onto a powder-coated steel base and the cable discreetly exits at the back of the lamp. 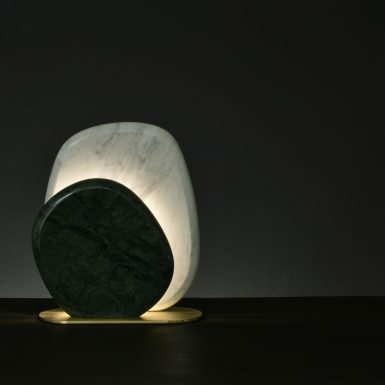 An internal touch-sensitive switch within the front stone allows the light-intensity to be increased or decreased by touching and holding the stone giving levels of ambient light.